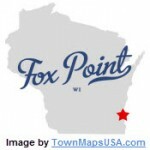 Do you live in Fox Point, WI and are looking to have a fence installed or a pergola or gazebo built? You’ve come to the right place! We’ve been installing fences and building pergolas and gazebos since 1977. We really enjoy working in Fox Point. At 6,734 people (2011 census) it’s a tight-knit community that’s a safe place to raise a family. It offers many beautiful views of Lake Michigan. Fox Point is also a National Arbor Day Foundation Tree City USA winner, a fact that is reflected in the tranquil, tree-lined lanes throughout the area. As fence contractors, plants and trees are big concerns of ours as well. For example, we often suggest that our customers plant trees and shrubs as effective and attractive road noise barriers. However, Fox Point residents should be aware of two important issues: the presence of invasive plant species in the area, and the presence of the emerald ash borer beetle in the area, a problem that is pervasive throughout Wisconsin. Invasive plant species take over an area quickly and choke out natural biodiversity. In Fox Point there are four problem plants: the Glossy Buckthorn, the Common Buckthorn, Garlic Mustard and Honeysuckle. Find out how to combat the invasive plant problem here. Find out how to organize community efforts to remove invasive plant species. The emerald ash borer is an invasive wood borer beetle that kills ash trees. The emerald ash borer often comes to our attention because it can hide in wild trees that grow along old fence rows as well is in ash trees and firewood that may be on your property. If you find an emerald ash borer infestation on your property it’s important to get help as soon as possible. Find a certified arborist in Wisconsin. Find out about insecticide options for ash trees. Each of these measures contributes to the natural beauty of the Fox Point community. The city’s concern for both beauty and safety does mean that if you wanted to build or replace a fence on your property you would need to get a building permit. There are many regulations governing fences. For example, in Fox Point fences aren’t allowed to exceed a height of six feet. There may be other requirements as well depending on where your property is located, the position of your property lines and the type of fence you are trying to build. If you are interested in building a fence in Fox Point, WI we can help. Call us today for a free estimate.